Flying for Your Food and Much More! 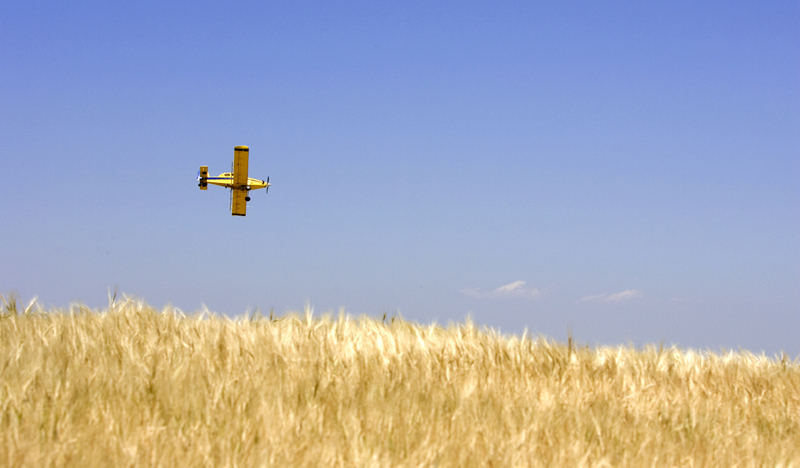 Agricultural aviation is an important part of the overall aviation and agriculture industries. The industry consists of small businesses and pilots that use aircraft to aid farmers in producing a safe, affordable and abundant supply of food, fiber and biofuel. Aerial applicators protect forestry and play an important role in protecting the public by combating mosquitoes carrying West Nile Virus, encephalitis and other diseases. Aerial applicators are highly trained professionals who have made a very large investment in their business. Like all Americans, they are concerned with human health, the environment, security and performing their job in a responsible manner. Aerial application is a critical component of high-yield agriculture. High-yield agriculture, which includes the responsible use of crop protection products, benefits the environment by producing maximum crop yields from fewer acres. Some farmers apply their products from the ground using ground equipment, but many have realized that using an ag plane to do this work is often more efficient and effective. For example, aircraft can treat wet fields and spray when crop canopies are too thick for ground rigs. Unlike ground rigs, aerial application does not contribute to topsoil runoff. Moreover, when pests or disease threatens a crop, time is critical. At a minimum, an airplane or helicopter can accomplish three times as much application work as any other form of application can.